The Penfield Reef Lighthouse Preservation Committee told the Board of Selectmen that they have fallen short in their fundraising goal. The committee wants to purchase the lighthouse, which is up for auction. 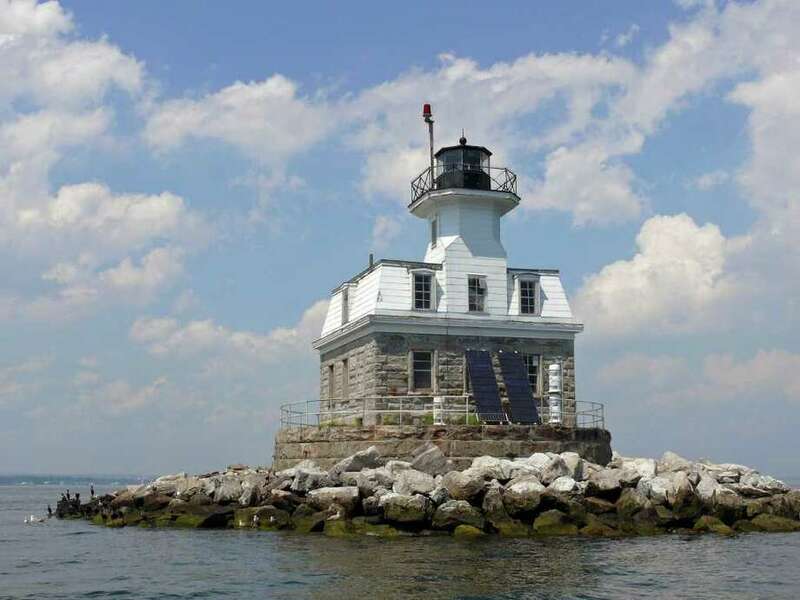 A plan to acquire the Penfield Reef Lighthouse may be floundering as private donations for the campaign have failed to come flooding in, the Board of Selectmen learned Wednesday. The federal government has put ownership of the historic lighthouse out to bid, and right now, the highest bid stands at $40,000. The local committee, according to Sandye Mann, the group's chairwoman, has been able to raise only about $20,000. The committee's goal has been to purchase the lighthouse off Fairfield's shoreline without using town funds. "I know the community is very passionate about the lighthouse," Mann said, but that passion and emotion has yet to translate into big dollars. Mann estimated it may cost as much as $90,000 to acquire the lighthouse, and another $452,000 to make needed repairs to the structure. After that, she said she doesn't believe there would be ongoing maintenance costs outside of an annual insurance policy. There are four other bidders so far for the lighthouse, including two people from out-of-state who wish to live in it. Mann said, however, said that the state Department of Energy and Environment has indicated that would not be allowed. However, she told the selectmen she is concerned that someone who is not from Fairfield would end up as the owner of the lighthouse. Because the Penfield Reef Lighthouse is on the National Register of Historic Places no changes can be made to its exterior without approval from the state's Historic Commission. First Selectman Mike Tetreau said that by auctioning off the lighthouse it appears the federal government is trying to hand off maintenance expenses for the lighthouse to someone else. He suggested that since a requirement of the sale is that the successful bidder also acquire the rights to the lighthouse bottom lands that the committee pursue getting those rights from the state. "If we get these bottomlands, we are the only bidder," Tetreau said, " unless the (General Services Administration) changes the requirement." At one point, the town had the bottomland rights, thanks to special legislation. But when the federal government awarded control of the lighthouse to Beacon Preservation, several years ago the town quit-claimed the rights back to the state. Beacon had been given the lighthouse at no cost and planned to renovate the structure and use it for educational purposes. However, issues arose between Beacon and the state over control of the bottomlands, and Beacon ended up backing out. It was then that the GSA put the lighthouse up for auction. Selectman James Walsh also suggested the committee look into a possible partnership with one of the other bidders -- a former Navy SEAL who says he is interested only in preserving the lighthouse. "We do realize that part of this is an act of faith," Mann said. "And we do realize we're going to have to work our backsides off continually fundraising. Tetreau and Walsh told Mann they support having the committee look into acquiring the rights to the bottomlands and pursuing a partnership with another bidder. They, however, did not mention any commitment of town funds to the effort.